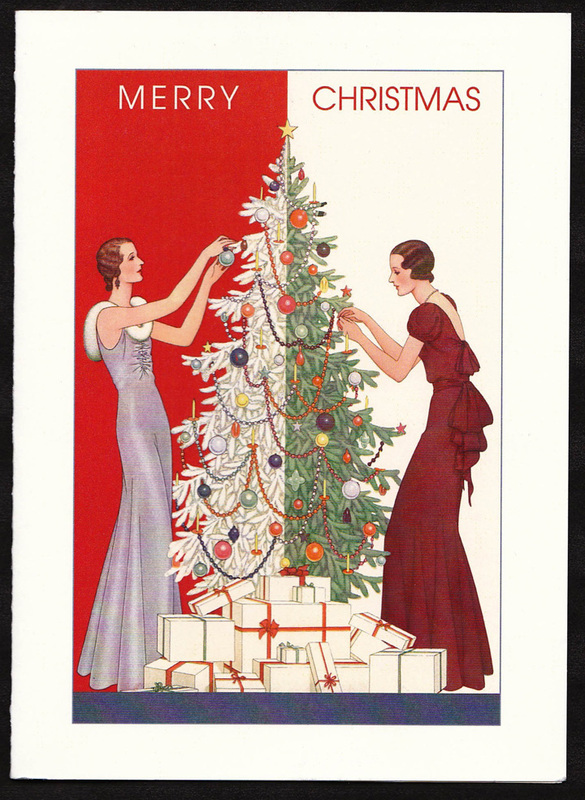 You might have seen these ladies on the cover of the December 1931 Delineator magazine—elegant in their marcelled hair and bias cut dress, decorating the family tree. The greeting is “Merry Christmas” on the outside and “Happy Holidays” on the inside. Package of eight cards (4-1/2” X 6-1/2”) with envelopes.